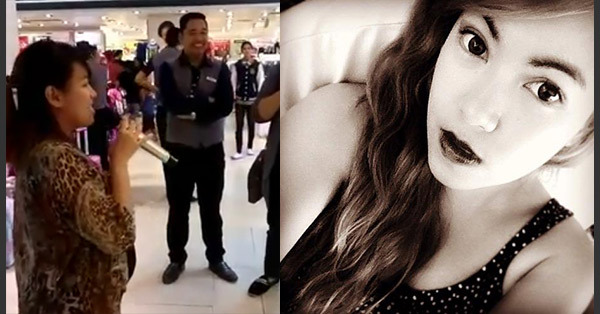 A pregnant woman wowed shoppers at SM Megamall in Mandaluyong when she belted out Beyonce's "Love On Top" at a stall of a popular microphone brand. Her video, which was uploaded on Facebook by a certain Redmon Abram Lat, already got thousands of likes and shares combined and was viewed more than 30,000 times as of 4:30 p.m. today. Despite being 7 months pregnant, the woman handled all the breathing while reaching high notes of the song effortlessly. It's because she's been singing since childhood. The preggy mom in the viral video is Donna Ricafrente Medina, grand champion of Eat Bulaga's singing competition "Birit Baby" way back in 1999. Her looks and age may have changed, but the quality of her voice remains the same. Amazing!